AuthorCentrix celebrates its second year as one of the exhibitors at the Fair. The company will be gracing the event with Effiong Ibok, a born again Christian and a published author with multiple technical publications lining up to his professional career. He has 61 issues patents and 5 pending patent applications. 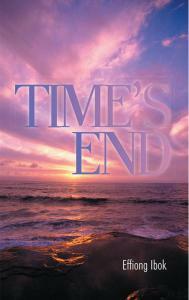 This year at the Fair, he brings to the readers, an Apocalyptic fiction – Time’s Ends. A chance for one-to-one Author Interview and Book Signing with Dr. Reynolds await everyone! Some people see the Apocalypse as natural evolution. In Ibok’s contemporary, it is drawn with great faithfulness from the Book of Revelations, written from the perspective of someone, narrating as an eyewitness from the Beginning of Sorrows to the end of the Millennium of Peace. Time’s End introduces the characters of Phil Jordan and Terry. The married couple is among those with interest that completely repel, Phil is a non-religious journalist while Terry is fervently religious who was at all convinced that the end of the world was imminent, and that all true believers will be “raptured” before the period of The Tribulation. To Phil, everything that Terry believes is meaningless until an event changed him when grace was extended to him. Explore a piece that discloses events through the Tribulation, Armageddon and the second coming of Christ.